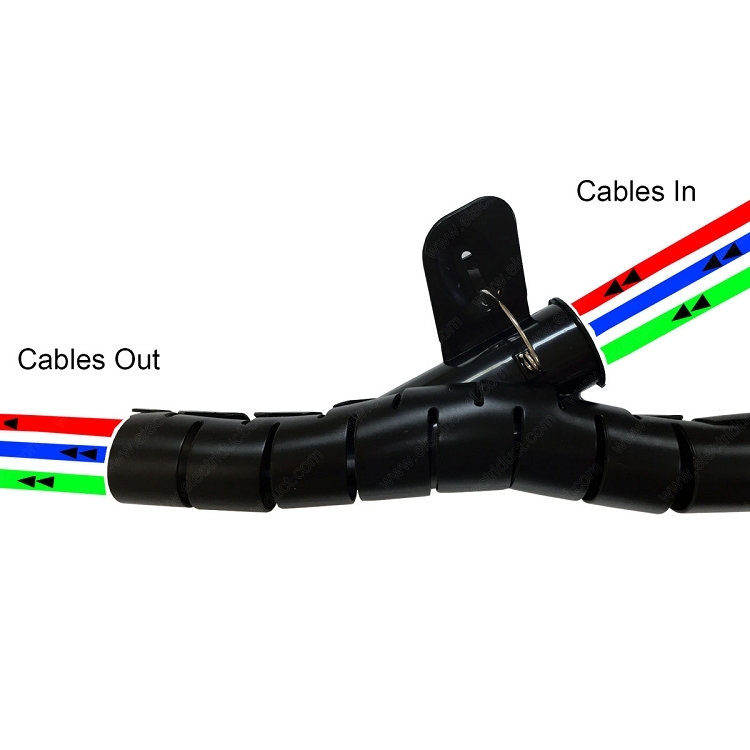 Easy Wrap with installation tool. 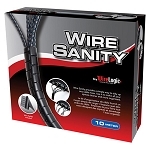 Give yourself the ease of managing loose messy cable bundles by using the Easy Wrap Cable Manager. 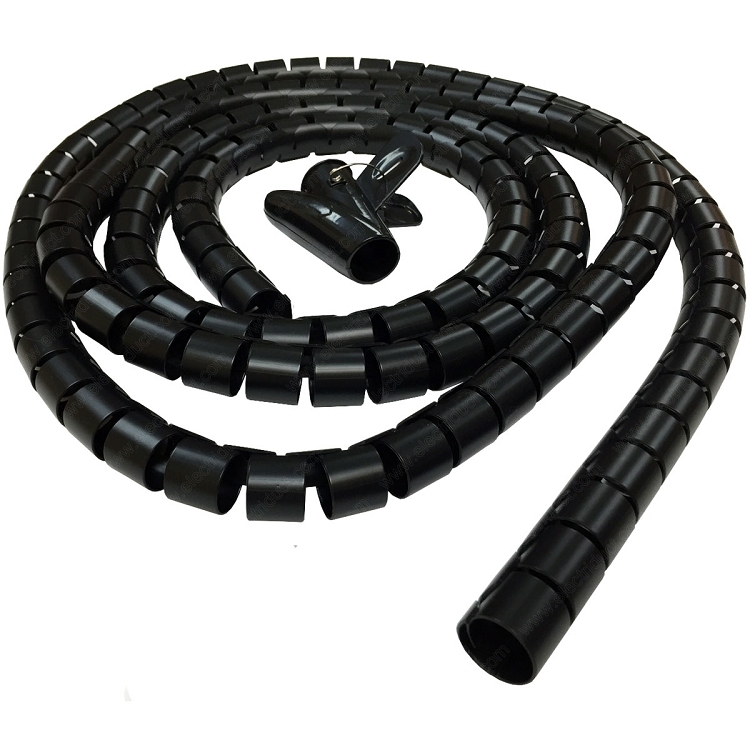 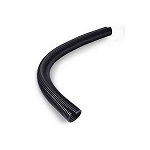 The unique design spiral style wrap works with the cable installation tool for quick installation, and the open slits allow for maximum bend radius and cable breakouts. 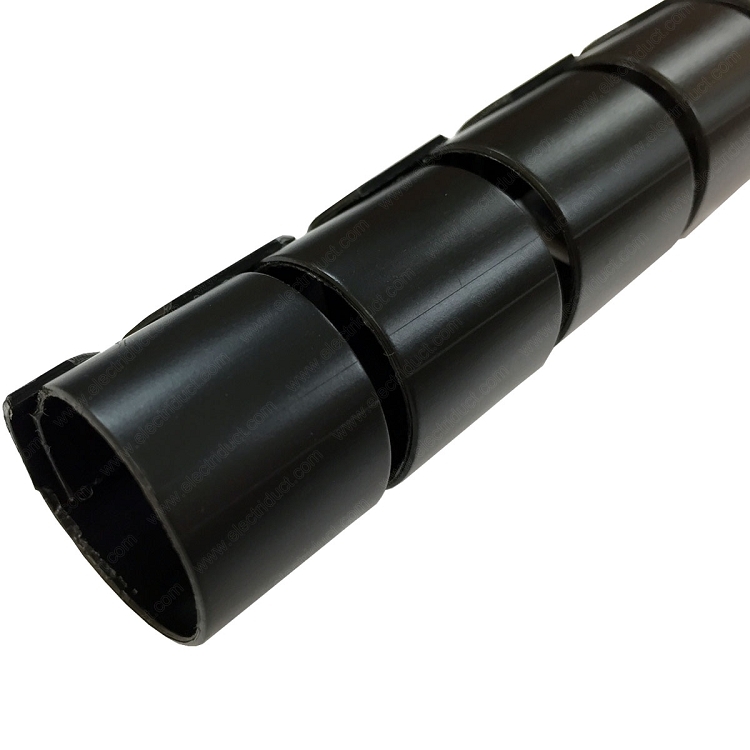 Made from durable polyethylene material, the Easy Wrap can provide abrasion resistance and is reusable for applications that require frequent maintenance. 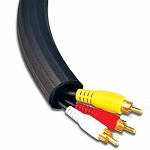 Available in 5 sizes and 3 colors, this nifty cable manager can be cut to any desired length for specific jobs.